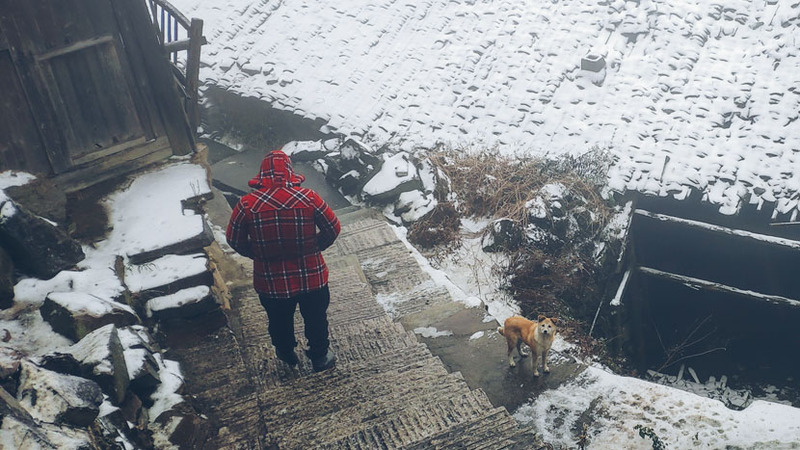 ZHEJIANG, East China — With the twisted mountain road blocked by yesterday’s snow, Zhao Weiren and his friends have no choice but to park their car and climb the last leg of their trip. They’ve come to visit Chenjiapu, a somewhat picturesque but otherwise ordinary village of 100 or so houses with beige plaster and black shingles. Hugging a steep hillside amid forests of bamboo and ancient trees, the village spends much of the year enveloped in fog. Like elsewhere in the Chinese countryside, young people have long moved away, leaving behind a few dozen elderly farmers. But then a bookshop opened. On any given day, hundreds, sometimes thousands of people now make the journey up to the village to visit Chenjiapu Bookstore. 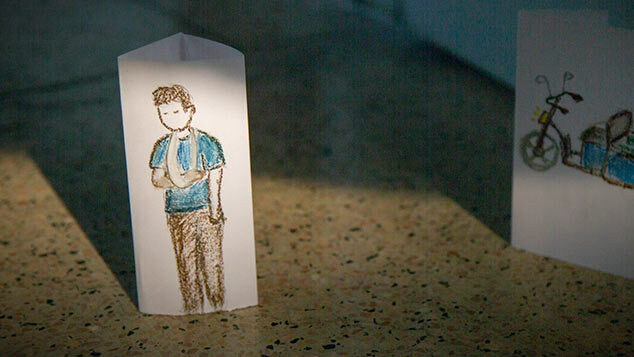 On that particular winter’s day, Zhao and his friends spent 30 minutes trudging through the snow, but eventually made it. “I don’t think we would have come to this village if there wasn’t a bookstore here,” says Zhao, who lives in the 240,000-strong county seat, Songyang, a winding half-hour drive back down in the valley. Few in Chenjiapu imagined the bookstore would become this popular when the idea was first put forward in 2016. But local party secretary Bao Chaohuo — most villagers are surnamed Bao — believed in it, and went knocking on doors to get everyone on board. It just so happened he was looking for a “long-term and sustainable project” to breathe new life into the village’s slumbering economy. The year before, President Xi Jinping had announced that no person in China should live below the poverty line by 2020, kicking off a campaign that would leave officials around the country scrambling to find effective ways to improve local fortunes. 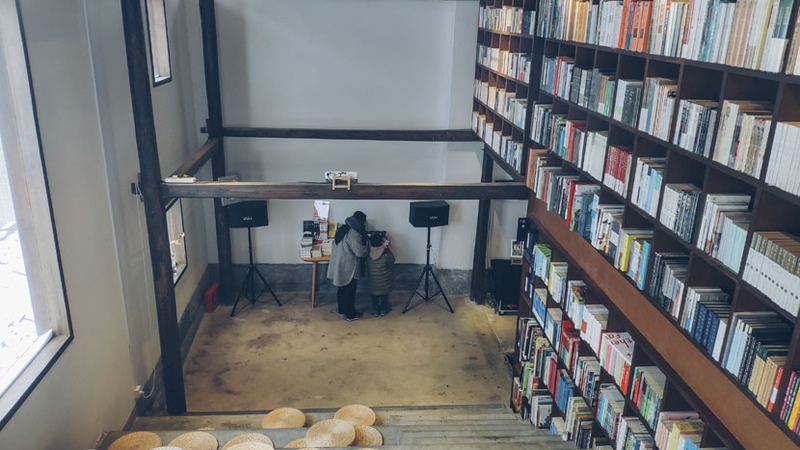 So far, Chenjiapu Bookstore — which specializes in poetry and culture, and sometimes hosts events for readers — has proved a successful formula. Despite its improbable location, books fly off the shelves. Monthly sales in Chenjiapu are equal to those in urban branches, employees say. Li Xia, the store manager, explains that people are more likely to make a purchase after a long and difficult trip. Most visitors would be called hipsters in the West; Li calls them “literary and artistic youth,” and they buy not just books but also items such as notebooks, tote bags, and postcards with village-inspired designs. “With our books and other items for sale, as well as the architecture and the views, customers … find it worthwhile to pay a visit,” she says. I don’t think we would have come to this village if there wasn’t a bookstore here. Located in the old cultural center, in which people used to worship their ancestors, the bookstore’s renovated exterior blends in with the village’s 640-year history. Inside is modern and simple, with concrete floors, tastefully exposed wood beams, and a high ceiling. The main entrance leads to a wide corridor with neatly arranged bookshelves opposite huge frameless windows that look out over the valley. There’s an espresso machine and a waffle maker, as well as a viewing platform offering vistas over the valley. It was recently voted China’s most beautiful bookstore. 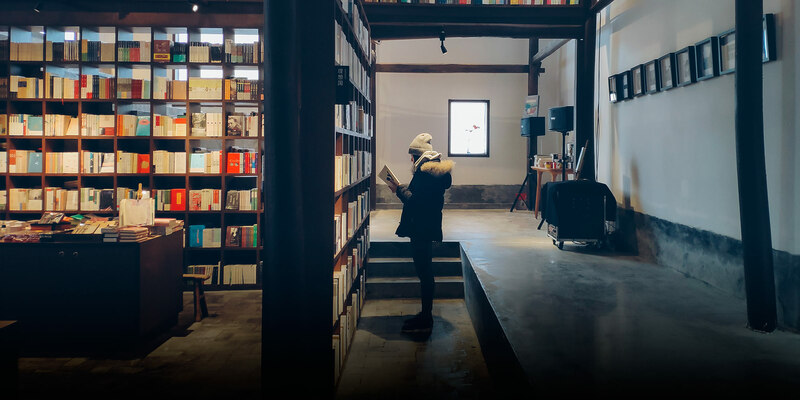 The shop is a rural offshoot of popular independent bookstore Librairie Avant-Garde, founded in 1996 in the city of Nanjing some 500 kilometers to the north and known for being a mecca for book lovers. In 2014, it started branching out — not just into other cities like its competitors, but into villages, too. The Chenjiapu location, its third rural shop, opened last June. To help the store minimize costs, the local government charges only a symbolic amount of money in rent, and offers free accommodation to its staff. In March 2017, the central government announced favorable measures to develop tourism for underdeveloped rural areas. With strong sales and official support for their business model, the company has plans to open another 10 rural bookstores across the country over the next five years. 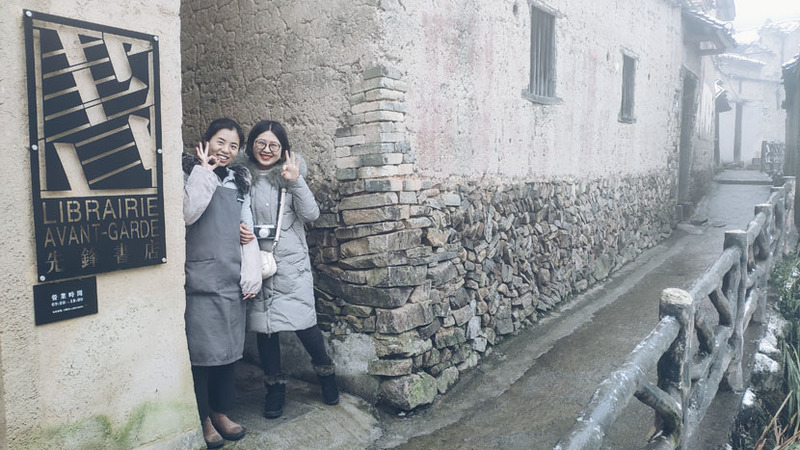 “We believe that ancient villages with a sense of history and culture should have a place to express the spirit and soul of the people,” says Yu Xiaodong, operations director of Avant-Garde’s rural project. Yet sometimes such tourism projects fail to benefit everyone, says An Ran, a bookstore strategist based in Nanjing. “It’s a tourism development cycle that combines high-end hotels, restaurants, and leisure facilities that mainly serve tourists, not the local villagers,” he argues. Despite its lofty rhetoric, the rural strategy is just a clever new way to make money, An adds. “Nowadays, bookstores are struggling to make money. Avant-Garde’s practice may open up a new model for bookstores to make profits,” he says. It’s a tourism development cycle that combines high-end hotels, restaurants, and leisure facilities that mainly serve tourists, not the local villagers. Xu has the bookstore to thank for more than just a better income. 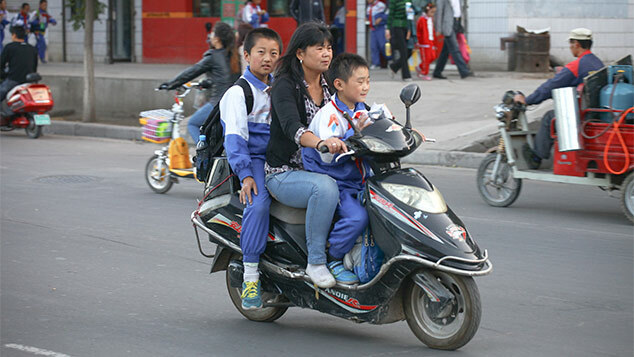 Her daughter and son, who both live in Lishui, a nearby city, now come to visit nearly every weekend with their young children — as do many parents in the region. “They told me there was no such place for reading in Lishui,” Xu says. “We used to see them once or twice a year, but because of the bookstore, we now have something to look forward to every week.” Some villagers have found in shop manager Li a helping hand whenever they have issues with their phones — how to send someone a photo, for example — or when they want to sell their produce online. 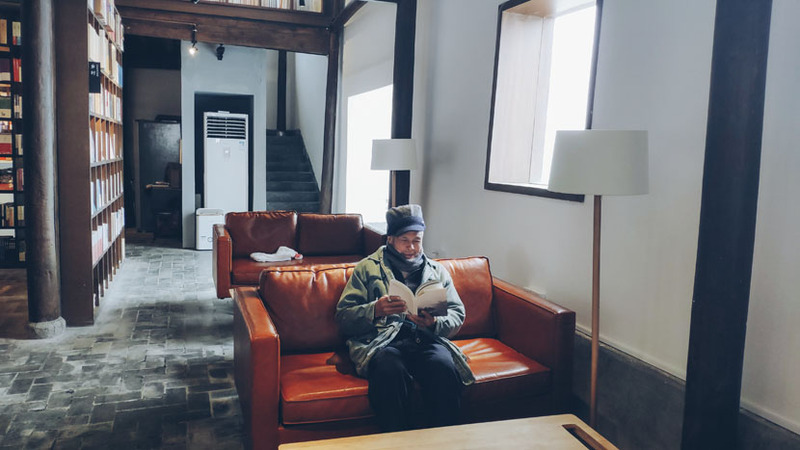 Yet other villagers just enjoy reading, like Bao Genyu, 64. He comes to the bookstore almost every day and immerses himself in books while sipping his favorite green tea. He’s particularly into books about Songyang County and rural development, which are hard to find elsewhere. (Among its more than 20,000 titles, the bookstore has a “Songyang Cultural Zone” bookcase.) “We want to offer an opportunity for the villagers and the readers from all over the country to get to know Songyang’s historical evolution, its folk culture, and literary creations,” Li explains. The store regularly invites experts to give lectures on health, culture, and other topics, which are well-attended by villagers and visitors alike. During the last National Day holiday week in October, over 10,000 people visited the bookstore each day, Bao Genyu says. “They were lining up from outside the bookstore to the entrance of another village down the hill,” he says. “I’ve never seen that many people in my village.” When Sixth Tone visits the bookstore during the New Year holiday, tourists arrive in an endless stream, despite the weather. Almost all of them either buy, eat, or drink something in the shop, says manager Li. Some just come for a good selfie, but Li says she considers it free advertising. Despite the loneliness, boredom, or stress here, for me, this is both my profession and a passion. Li and the other staff member, Liu Yating, open the bookstore at 9 every morning, every day of the year. They work five days a week, and alternately take two days off between Monday and Friday, when visitor numbers are at their lowest — about 200 a day. During weekends, they receive more than 1,000 daily visits, and over the New Year holiday, they are so busy that they don’t even have time for lunch. Zhao and his friends spend hours in the bookstore that afternoon. He calls it a magical place and says he will take his daughter with him next time. As they and other visitors leave, Chenjiapu returns to its quiet self, save for the occasional news broadcast or dog bark. People finish dinner around 5 p.m. and go to bed by 8. It’s New Year’s Eve, and while the whole world is waiting for the clock to strike midnight, Chenjiapu is fast asleep. Additional reporting: Sun Hening; editor: Kevin Schoenmakers.